The interactions of unilamellar vesicles obtained by the incorporation of (1,2,3,4,5,6)-tridecafluoro-hexadecane (F6H10 diblock) to dipalmitophosphatidyl-choline (DPPC), with Gd3+, Ca2+, Na+ ions were studied by electrophoretic measurements, dynamic light scattering and differential scanning calorimetry (DSC). Electrophoretic mobility measurements on unilamellar vesicles as a function of ion concentrations show that the vesicles adsorb the different ions employed. 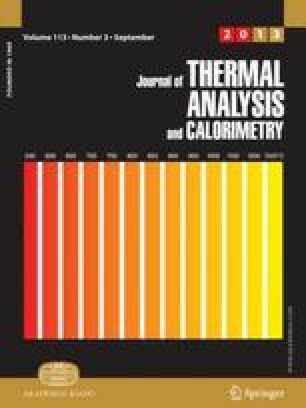 DSC has been used to determine the effect of diblock on the transition temperature (T c) and on the change of enthalpy (ΔH c) associated with the process.